Home→Motherhood→Are You Done Having Children? 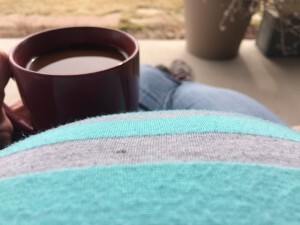 Two years ago while pregnant with our third child I was astonished by the negativity we received from friend and stranger alike, and the questions and remarks caught me off guard. Needless to say I assumed I’d get the same iffy treatment when we became pregnant with number four this past year. At first some responses lived up to my pessimistic expectations, but those soon tapered off and much to my delight I now encounter only delight and joy (still with the occasional bit of shock, but positive shock, it seems). Yet there is still one question I hear quite often, and — while not in itself negative — it causes me to stumble, fluster, and struggle as I figure out how to answer. I dread this question. I hate this question. On one hand because I’m not quite certain how to answer it at all, and on the other, I’m simply wary of how the person will react once I do answer. The question is, as you guessed by my spoiler of a title, whether or not we are done having kids. Now, certainly we got this with baby number 3, but it seems to become more pressing an inquiry with number 4. Four, as I’ve been told many times, is a perfect number. A great number. A virtuous number. It is something we should be happy with, content with. And that’s where I start to fidget. Because while society and the world tell me we have every right, we have all the freedom, to say “Yup, four is good enough, four is perfect, four is it,” something just won’t stop nagging at me. I have no health concerns. I have no major complications during pregnancy. Annoyances, yes. Discomforts, of course. Irritations, sickness, aches, exhaustion. Duh. But nothing life threatening. Nothing unbearable. Nothing serious. I struggle to answer this question, because most folks don’t understand my hesitation with deciding to “be done”. Most don’t seem to understand why I lose sleep and fret and worry and pray constantly over this constant battle between my desire to avoid these minor discomforts and my knowledge that Holy Scripture only ever refers to children as blessings to be welcomed and cherished. I struggle to talk to people about this, because it is a sensitive topic with strong feelings on all sides and extremes in views on both ends. I tell friends and family that I feel like I’d be acting only out of selfish desires for sleep, rest, relaxation (as much as you could have with four kids, that is)… A selfish desire to have money to travel and give the kids more stuff and more experiences. Sometimes I’m met with just a listening ear. Other times I’m told it’s not selfish, but justified and fine. But something doesn’t quite let me believe that. Now, I understand I’m likely stepping on toes here. I have friends who have made this decision to be done. I have friends who have decided to not have any children. And I have friends who have had to make tough decisions to forego future children because of their health and their need to care for the living children in their care. The fact remains that this world is fallen. Everything is tainted by sin. Perfect answers are not always possible. And I certainly don’t have a perfect answer. I’d like to say I have a solid response to this question or that I have a firm point to end this post on, but all I have for you is an “I don’t know”. I’m still praying for wisdom on this. I’m constantly praying for peace of conscience and mind and heart and what-have-you. I’m still praying for the strength to not give in to the world’s temptations while also the peace to rest in my baptism and salvation in Christ when I stumble and fail. So for now when I get this question, I often shrug and say I don’t know. I sometimes remark on the blessedness of this gift of children. I occasionally open up and pour out my inner struggle and turmoil. Regardless of how I respond, I try to rest in knowing I don’t have to have an answer just yet. I instead can take each day as it comes, for I don’t know what tomorrow holds. After all today has enough burdens and troubles of its own. Our “me-centered” civilization has forgotten that children are blessings, each individual child is an individual blessing from God. It is God-pleasing to continue bearing children as long as you are able. I am on the otherside of this issue, and often regret my decision to snip the tubes after the birth of our child. I do have some underlying health threats that are exacerbated by the hormone changes of pregnancy, but we were misled by our ob/gyn as to the severity of the threat, and ended my fertility out of an abundance of caution. It stings every time someone asks if my son is the only one; most of the time I cover by letting the person know I also have a dog and a husband, but I know it is not the same. I think this is a lovely written piece, it’s very important to remember that children are a gift of the Lord and that’s often lost in our day and age. It’s such an incredibly personal question, I don’t see why it’s not considered incredibly rude to ask. Like you said, often the true answers are fraught with our own self-doubt and fears. But I do disagree that we don’t tend to chose to forego other good gifts. There are the gifts of being in a position to help the poor, to love our nasty neighbor, to sacrifice for others without gain and we don’t like those either often more so than the gift of children because at least we (usually) get love from our children. I also have known men who purposefully got new, lower paying jobs, because the previous one was taking away from their time and ability to be spiritual head of their family. Some people “purge” their clothes and items when they realize they have too much or it’s becoming their idol and their safety. Those choices, when made, are often private. Children are visible, and a seemingly easy “choice” to be targeted on. Your uterus is currently occupied, so the issue really is moot for you. You and your husband have some time to pray about it. There is a lot of peace to be had in taking babies one pregnancy at a time. I usually answer “I don’t know,” but I’m not asked as much as I once was. I think when you have 7 children, people know you have a reason of some kind to have so many children. They just can’t fathom what that reason may be. Many times, when I do explain why we don’t know, people assume that our willingness to have more children is an easy choice. As Vanessa shows, it’s not easy at all. I to understand the verse and would love to have many. But I have had complications! And my second has many special needs. I myself struggle. We have lost two one to miscarriage and other to etoptic just we couple months ago. But I struggle because I am unsure my body will be up to the fight again with the complications and being able to be the best mom to my son who needs extra care. Good points. Been praying and thinking on this subject a lot! I am happy with my two children, I am not as patient and nurturing as I would like to be. I have to hang my head in shame, because I have said such things to friends and only meant them as teasing and not meant to be hurtful. This article gave me a different perspective, not so much the “Susie” wants 8 kids, just how much negativity they probably get. If you want 8 kids, go for it. I don’t happen to but I will in the future be more cautious with my tongue. I wrote something on this topic a few years ago too.